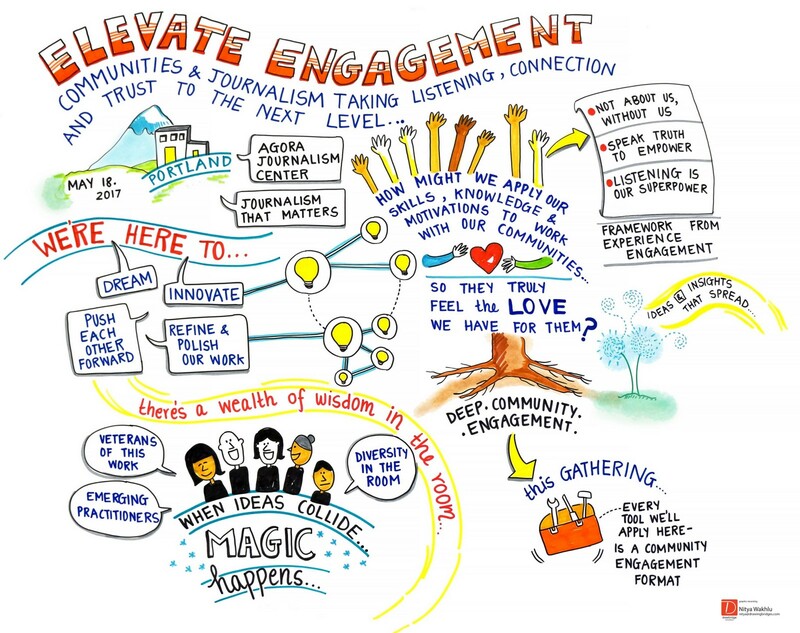 On May 18–21, 2017, a diverse group of 130 journalists, researchers, engagement practitioners, and community leaders gathered at the Agora Journalism Center in Portland, Oregon, for Elevate Engagement. Co-founder and director, Journalism That Matters. Author, Engaging Emergence & The Change Handbook. Hosting conversations for addressing complex challenges.